Virginia Macgregor (née Woods) was brought up in Germany, France, and England by a mother who never stopped telling stories. From the moment she was old enough to hold a pen, she set about writing her own, often late into the night – or behind her Maths textbook at school. Virginia was named after two great women, Virginia Wade and Virginia Woolf, in the hope that she would be a writer and a tennis star. Her early years were those of a scribbling, rain-loving child who prayed for lightning to strike her tennis coach. After studying at Oxford, Virginia started writing regularly whilst working as an English Teacher and Housemistress. 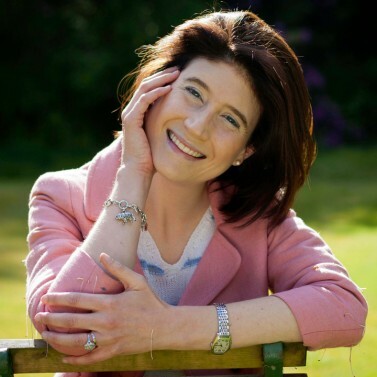 She writes contemporary fiction, rooted in family life. Through her fiction she addresses some of the most pressing social and ethical issues of our age. 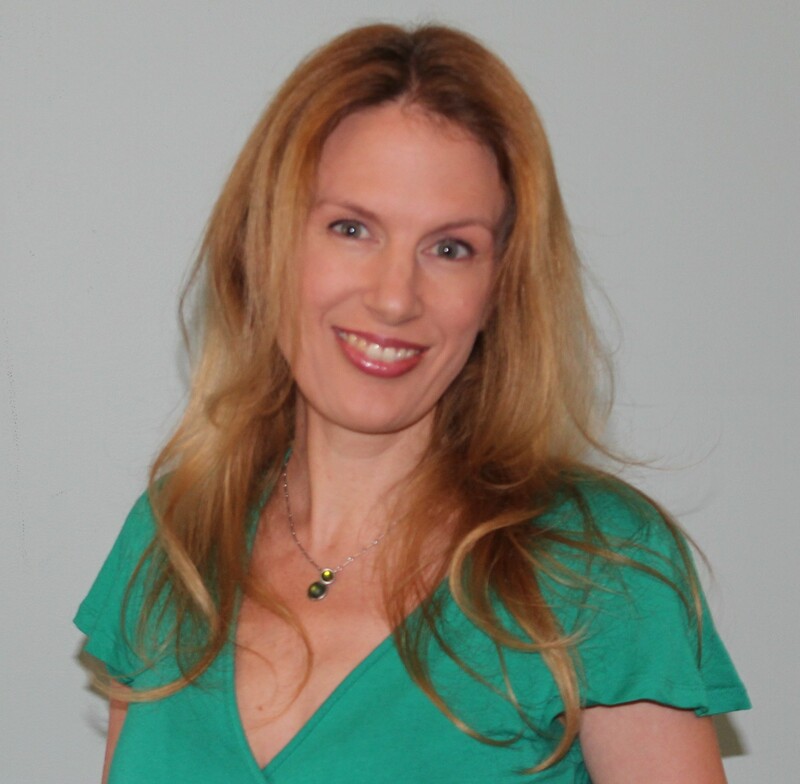 She loves to write from multiple points of view and her novels often include children and a quirky animal (or two). I’ve been writing stories ever since I could hold a pen; I can’t remember ever not writing. My first break was in October 2012 when my wonderful agent, Bryony Woods of DKW, emailed me at 12:04 am saying that she wanted to represent me and bring my stories to the world. A few months later I had a two-book publishing deal with Little, Brown, which makes it sound much easier than it was; there were many rejection letters and years of heartache along the way! 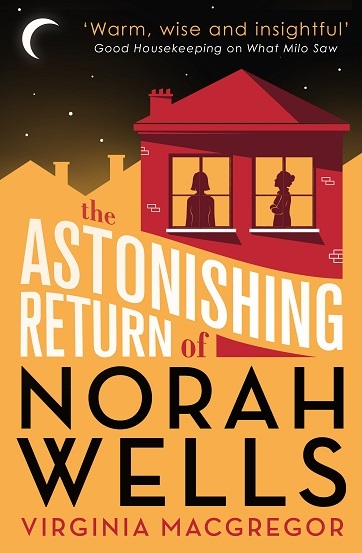 My second novel, The Astonishing Return of Norah Wells, has just been published by Sphere of Little, Brown. It’s a contemporary family drama which explores the idea of a mother who walks out on her young family and comes back six years later expecting to pick up where she left off. The story takes place over a bank holiday weekend and is told through five points of view: the mother, her husband, her two daughters and the woman who took her place. I love to write in coffee shops. The coffee shop in my local town is like my family. My little girl wakes me up (too early), we read together (usually snuggled up in her cot), get ready together, have porridge together (along with most of her toys too) and then I hand her over to her nanny or to her Montessori Nursery. After that, I go for a 1h walk, part of the writing process, and then cycle up to my local coffee shop and write…write…write…This is punctuated with the occasional English Literature lesson at the boarding school where I teach, but my day is mainly comprised of writing. At 5pm I pick up my little girl and we spend the rest of the day together with my husband, Hugh. I need to have a strong story concept, usually rooted in a social issue that has been niggling away at me for a while, like the nursing home crisis in the UK (What Milo Saw) or the issue of women walking out on their families (The Astonishing Return of Norah Wells). Then I need a main character or two to carry the story. Then a strong opening scene and a sense of how the story will end. After that, I plan and research as I write. I have lovely Leuchtturm notebooks filled with coloured mindmaps and pictures which sit beside me as I write. I plan a scene, then write it, then plan, then write and make lots of notes as I write too. Then I edit like crazy. Besides my little girl, my husband and my mum, there’s nothing that means more to me – or that makes me feel more alive – than writing stories. It’s my way of making sense of the world and of nudging the world a little too. People. Beautifully ordinary people who I meet in my coffee shop, who I teach, who I observe in the supermarket, who I read about in local newspapers, who I chat to on the bus or the train. I am infinitely nosy about human beings and what makes them tick. The fear about how my next novel will be received and to do justice to the loyalty of my readers, whose response to my first two novels has been incredible. My biggest ambition is to keep writing a novel every year of my life: it’s a big dream and for that, I need to make sure that my publishers keep believing in what I’m doing, which is also scary. But being scared makes me work harder, so I guess it’s a good thing! Not to bellyache about sales figures; it’s stressful and it’s not my job. My job is just to tell damn good stories. The rest will take care of itself! As above, my goal is to write a novel a year for the rest of my life. The problem with that is that publishers no longer invest in writers for a lifetime, they invest in one or two books at a time and then work out whether you are financially viable. Which I guess is natural, publishing is a business, after all. But it still makes being a writer scary as you’re never sure whether your contract will be renewed. Publishing houses are now very much driven by sales and marketing teams. I feel hugely honoured to have been picked up by a wonderful publisher but I know that there are some amazing writers out there who haven’t found a home because those sales and marketing teams don’t want to take a risk on a new writer. Publishers make most of their money from celebrity cookbooks and memoirs so we novelists really need to push hard to get a spot on their lists. It’s a tough world. But still magical too. Anne Tyler, Carol Shields, Barbara Kingsolver, Lionel Shriver, Sara Baume, Jodi Picoult, Alice Seobold, Toni Morrison, Sue Monk Kid, Maya Angelou, Alice Walker, Emma Donoghue…so, so many. 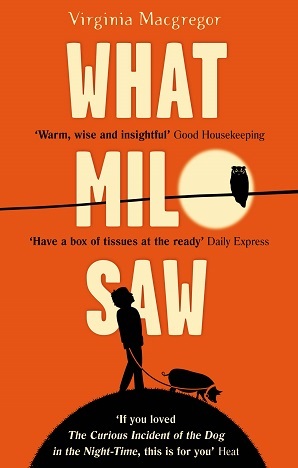 Emma Donoghue: her amazing five-year-old narrator in Room was a big inspiration or my own child narrators in What Milo Saw and The Astonishing Return of Norah Wells.